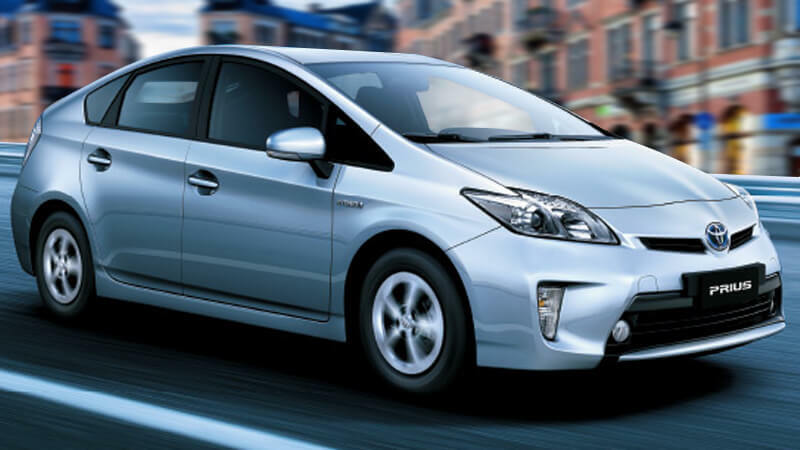 Toyota Prius Hybrid 2016 is the best eco-friendly car among all other latest emerging hybrids. In fact, the top-notch Accord by Honda as well as Ford's C-Max hybrids cannot rival the features which make the Prius the most environment friendly vehicle in the market at present. This champion of the green world gives its owners a complete package through its top-notch performance, fuel-economy, a dazzling exterior, comfort and an excellent set of safety features. 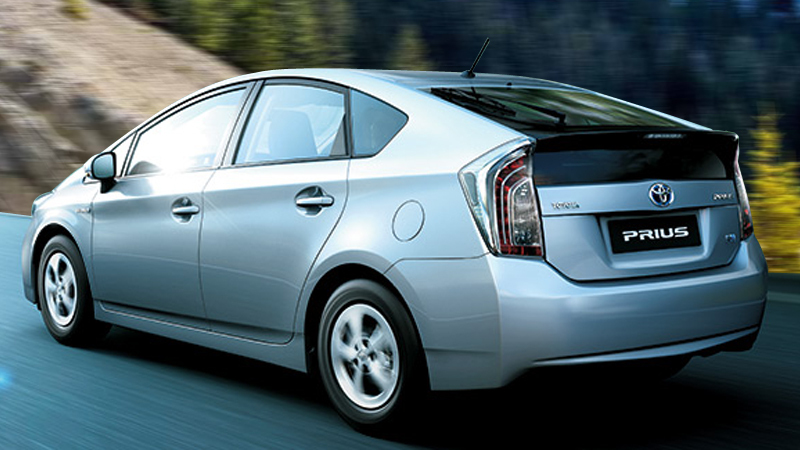 The hefty Toyota Prius price tag is, therefore, well-justified. Let’s begin reviewing the car from its absolutely chic appearance. The sporty sedan possesses a compact body which contributes to a smooth running and turning around corners. The halogen headlamps have been designed with class to match the groovy LED tail-lights. Apart from its ravishing attitude, the exterior also emanates practicality. For instance, the well-designed sunroof, dual sun visors and adjustable side-view mirrors add to the vehicle's aptness. 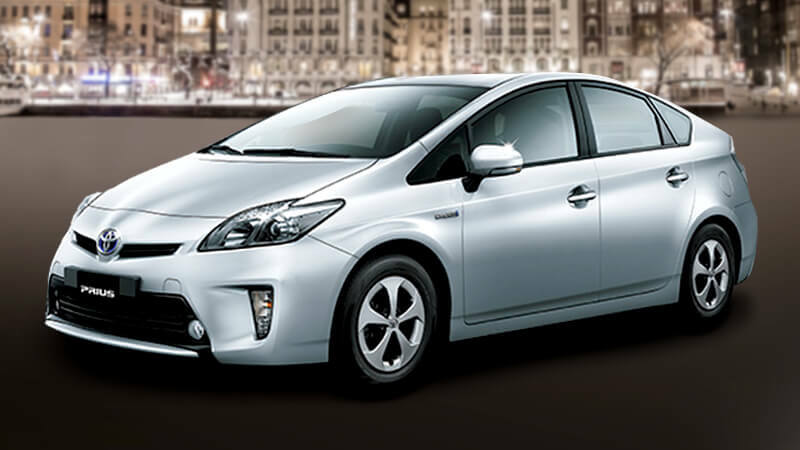 Although the colors vary according various trims, Toyota Prius in Pakistan is expected to be available in all the seven metallic shades which are found in the international markets. The new hybrid car does not only favor the environment, but also goes easy on its owner’s pocket. The wonderful 51 mpg mileage in city and 48 mpg on highway makes it stand out among all other green vehicles of its kind. A survey and estimate carried out in the US have concluded that had this wonderful model been available since the year 2000, it would have saved no less than 1,445,971,501.65 gallons of fuel in the country by now. If that sounds amazing, wait till you read about the other fabulous eco-friendly features of this vehicle. The headlamps and taillights make efficient use of power and the latter can also turn off automatically when required. Solar panels have been added to the roof which generate power for the vehicle and charge the battery. In addition, the battery is also charged through a regenerative braking system charging when the vehicle is slowing down. On the other hand, the efficiency is increased through an exhaust gas recovery system. 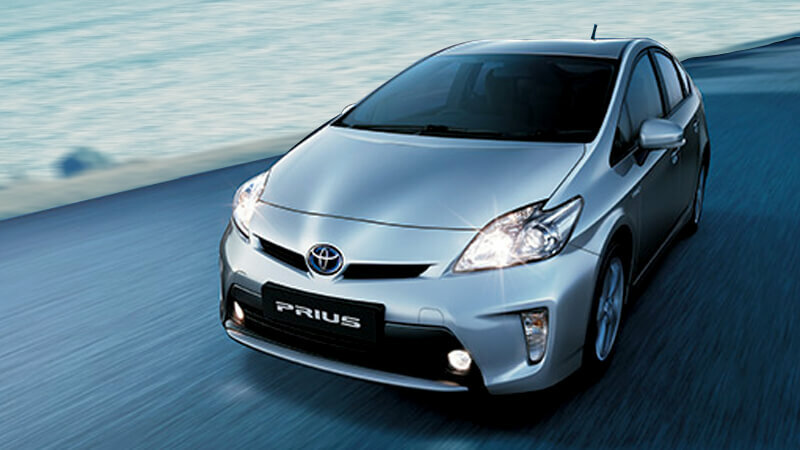 Toyota’s Hybrid Synergy Drive combines the efficiency of a gasoline engine with a quietly operating electric motor. The system receives power from either of the two or both of them simultaneously. Furthermore, it possesses the ability to select the best mode which would yield the maximum efficiency. Speaking of modes, there are three to suit varying requirements. Need more efficiency? Switch to Eco Mode. If you are in the mood for acceleration, choose the Power Mode. Want to use the electric mode for the maximum duration? The Ev-Drive Mode will make your wish come true. This vehicle has been termed as a "full hybrid" which means that it can run exclusively on the electric motor as long as there is enough power in the battery. In this way, you can save fuel. This is the most advanced feature in the model which distinguishes it from other eco-friendly vehicles. This full hybrid mode also serves in emergencies when your tank is on the verge of getting empty with no fuel station nearby. The unique design of the vehicle’s interior helps drivers stay focused on the road. This is because the instrument panel is not present in the front as a distraction. Instead, it is added above the center stack. 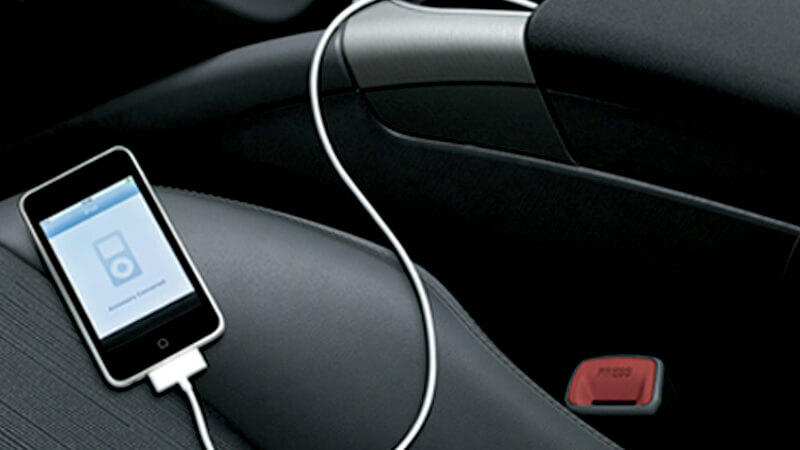 Automatic Climate Control, Bluetooth connectivity, USB port and a start button are among the standard ergonomics. 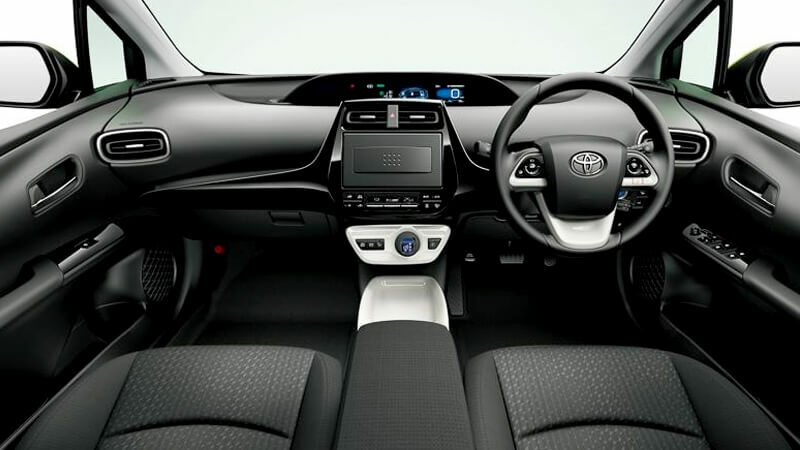 In addition, an optional navigation system and Entune Multimedia can make the interior more sophisticated. 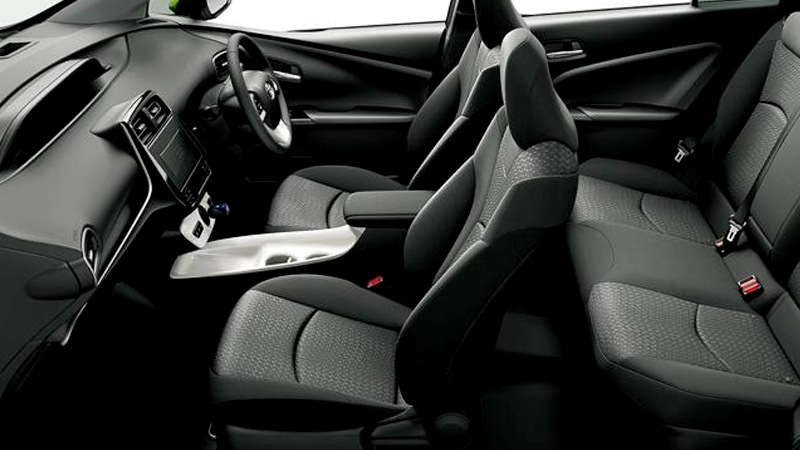 The comfortable passenger seats can be covered by leather as an optional luxury. There are two glove compartments to provide increased storage capacity. Power windows, ample leg room and head room add to the overall comfort and ease. Among other rewards, the vehicle has been rated with five stars by the US National Highway Traffic Safety Administration System. The reasons behind this high rating include a top-notch electronic stability system, state-of-the-art front head restraints, anti-lock brake system, child safety locks and seven standard air bags. In addition, even more amazing safety features include Dynamic Radar Cruise Control, Lane Keep Assist, Pre-collision System and Vehicle Proximity Notification. It seems like the Japanese manufacturers have really outdone themselves by ensuring absolute safety against potential collisions and accidents. This is the perfect vehicle for all those who care for the environment, their own budget and the safety of their family. The car’s eye catching design, excellent performance and unparalleled eco friendly features make it the best pick for you in 2016.